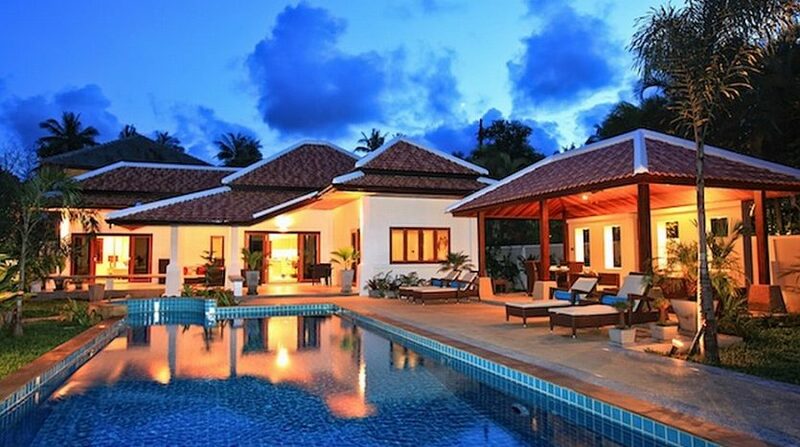 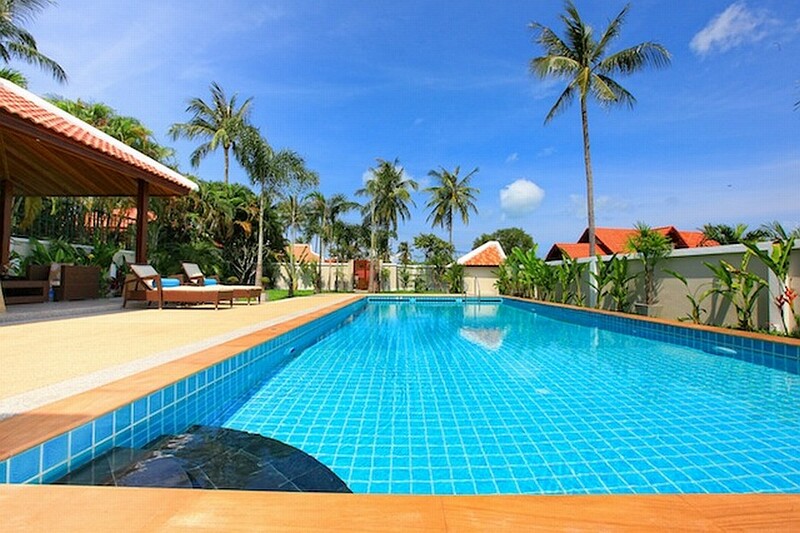 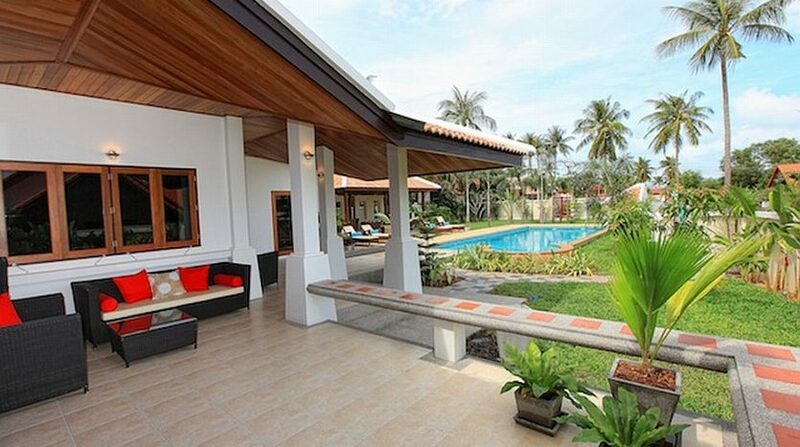 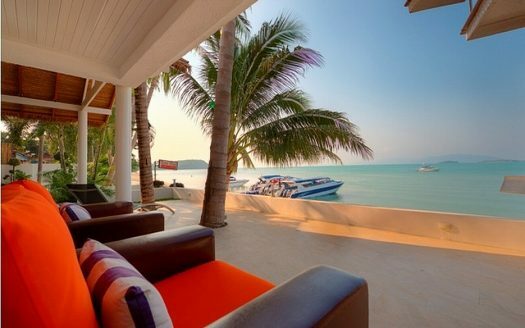 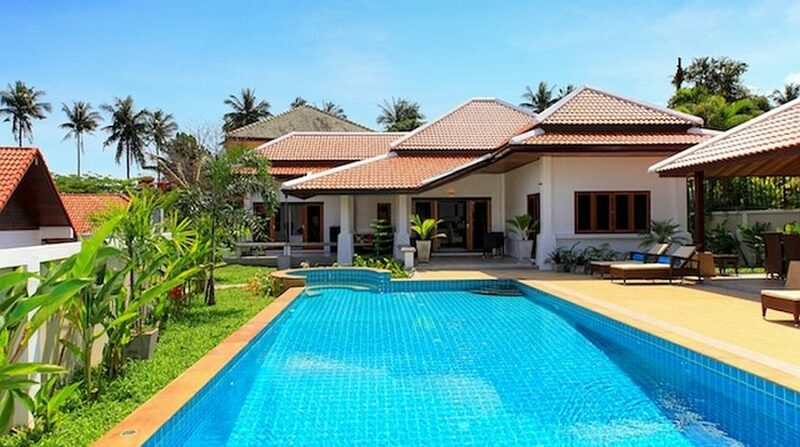 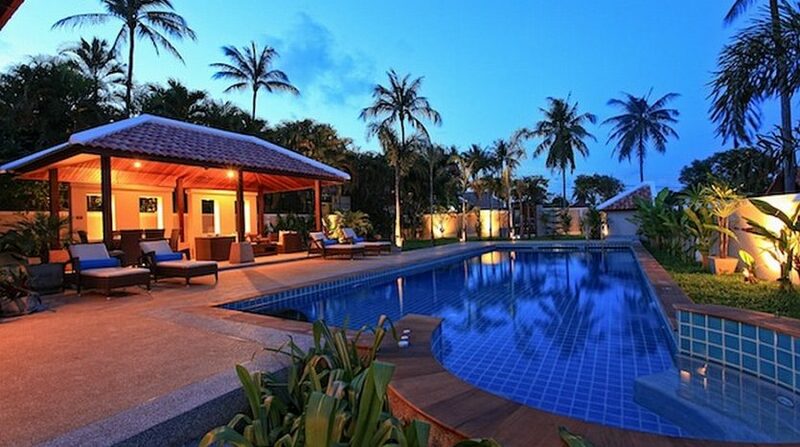 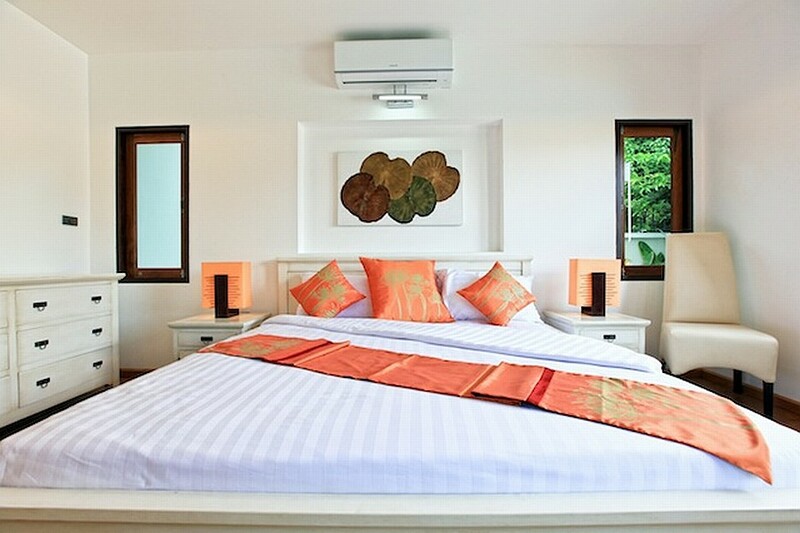 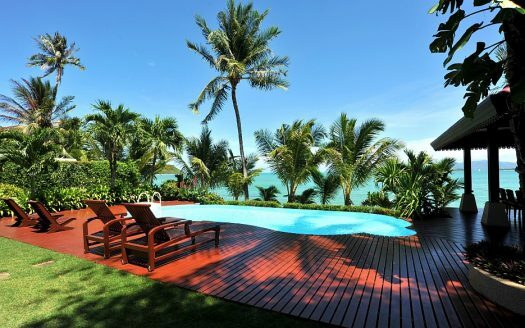 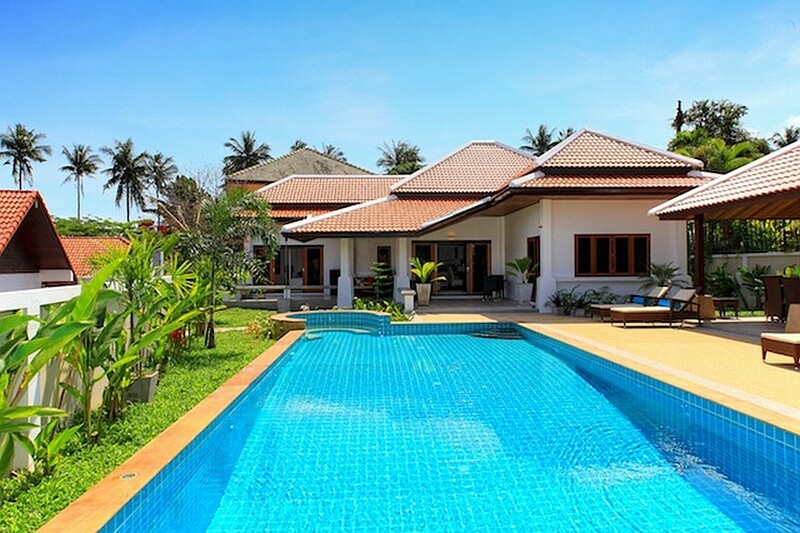 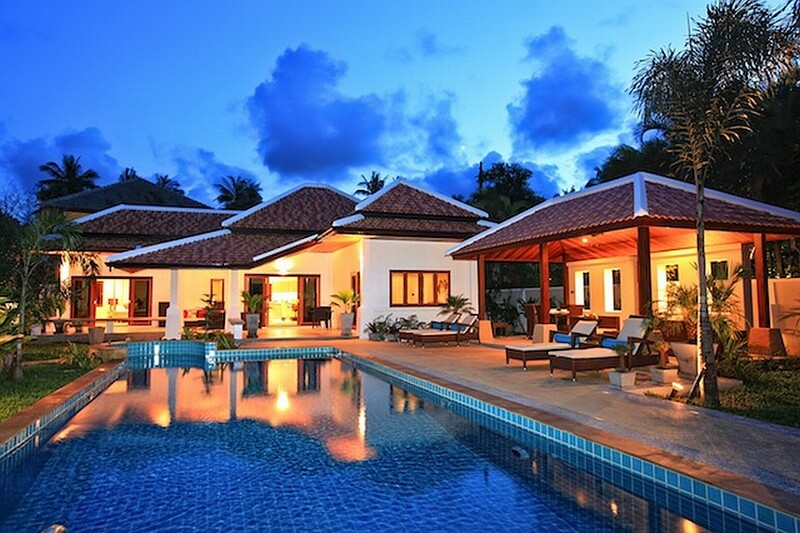 Villa Sawan is a huge and attractively designed house within strolling distance of Bangrak, a favorite village on the north coast of Koh Samui. 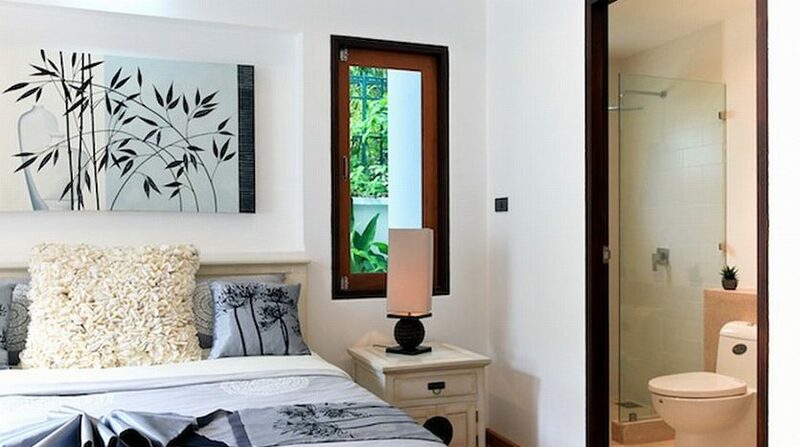 The house is located in immaculately preserved walled tropical gardens offering solitude along with a secure area for kids to play. 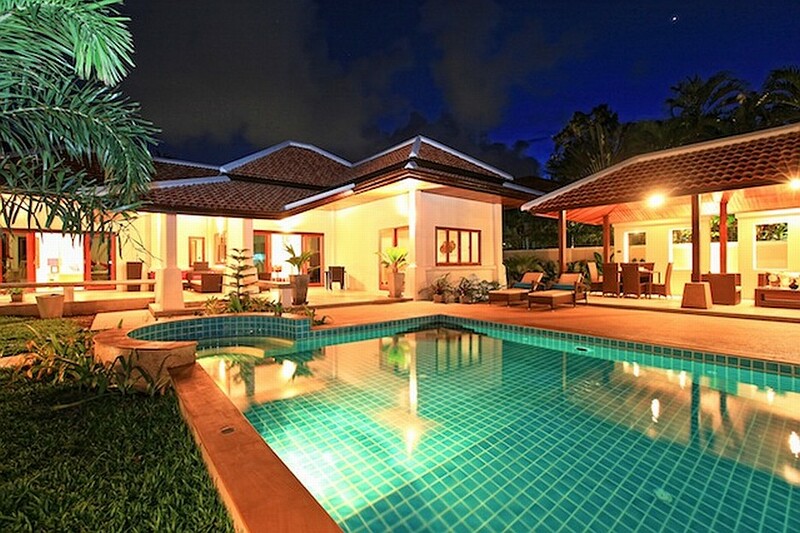 The villa has off street parking for up to four automobiles. 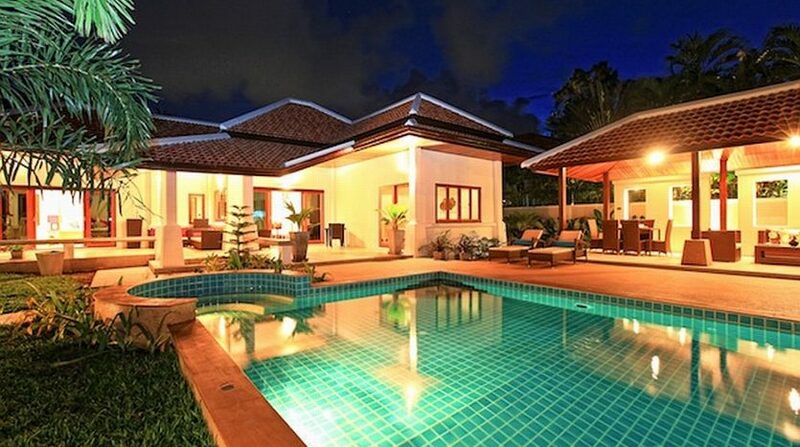 The villa has a big swimming pool that has both deep and shallow areas and a hot tub. 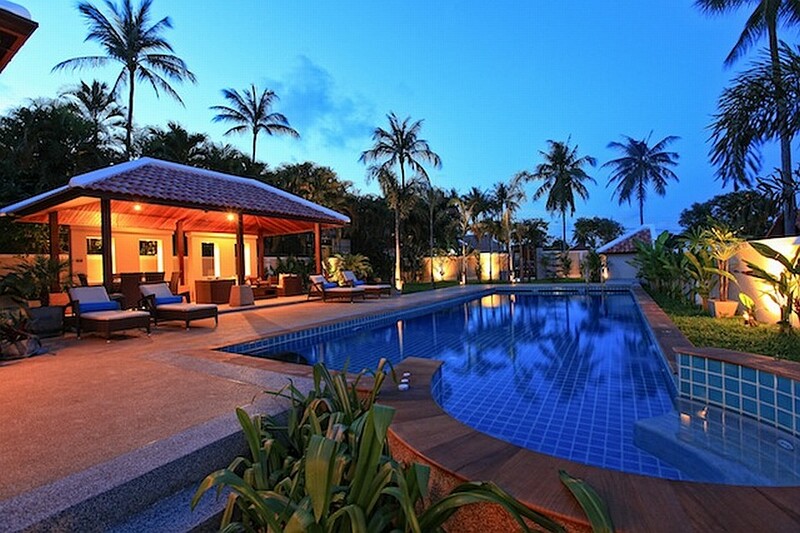 The pool patio has comfy sun loungers and an outside shower. 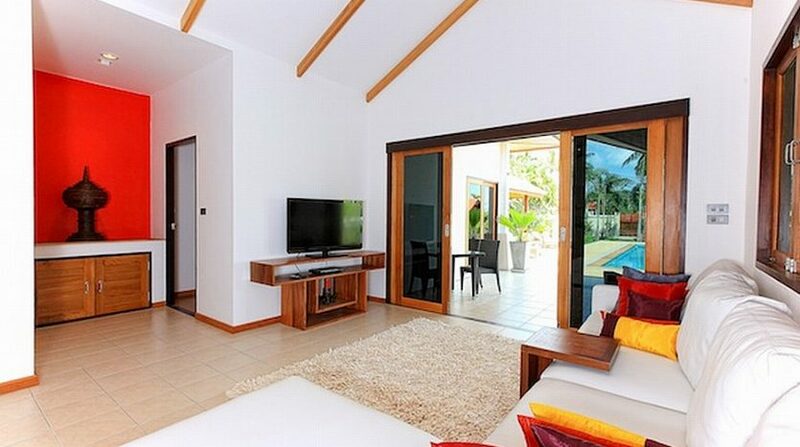 Double doorways from another dining area, right facing villa, open into a cozy living space with wood pitched ceilings, comfortable chairs, a big flat panel Television with DVD-player and appealing ornamental decorations. 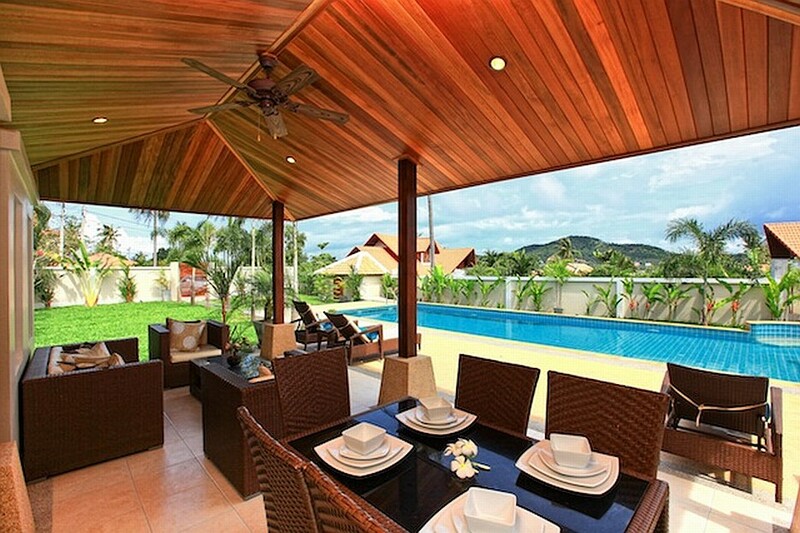 Past the living space is another eating area having a wooden dining table that will comfortably seat up to four visitors. 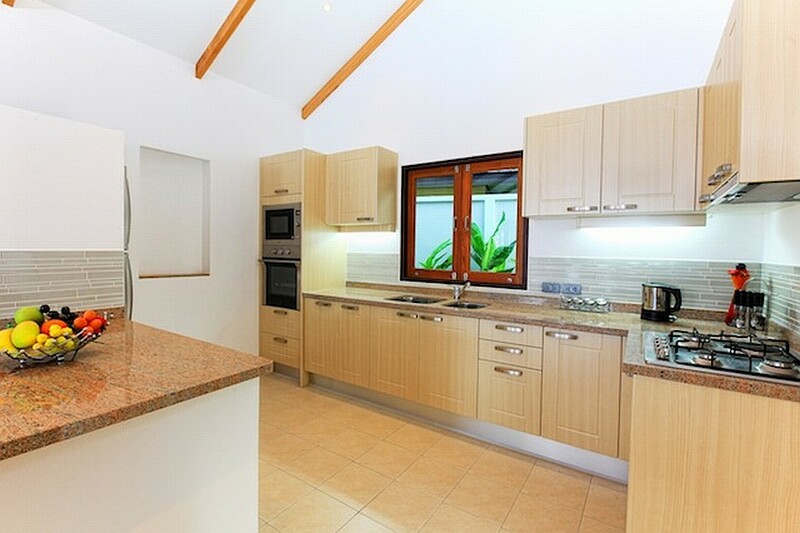 Beyond this space is an open-plan kitchen with a breakfast bar with seating for 2. 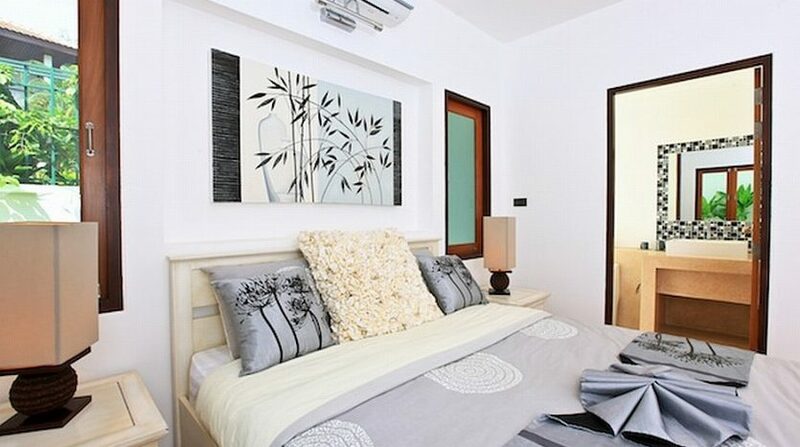 Bedroom one is located at the right side of the living space. 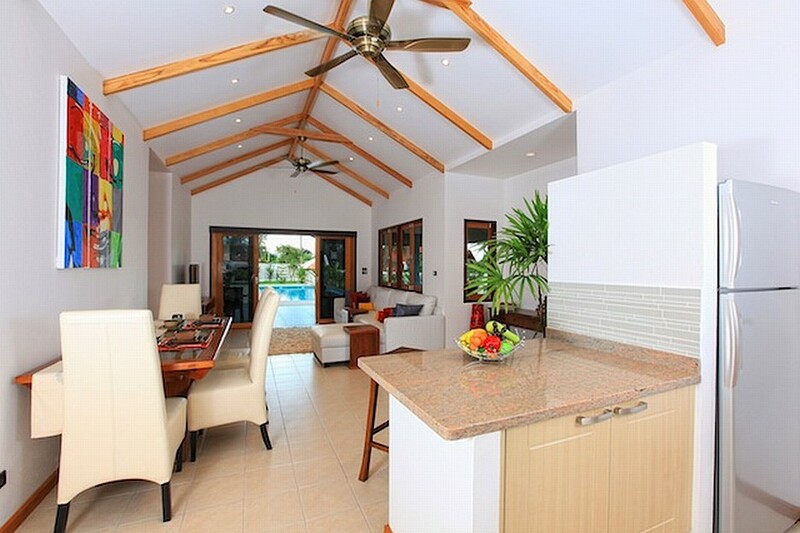 This big, light and airy space has direct access to the pool patio, a big comfy bed and a stylish ensuite toilet with a rainshower. 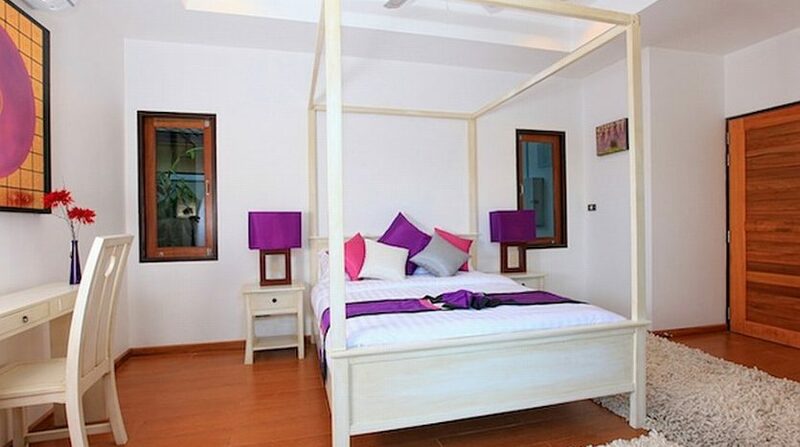 Bedroom three is located to the left of the living and eating space. 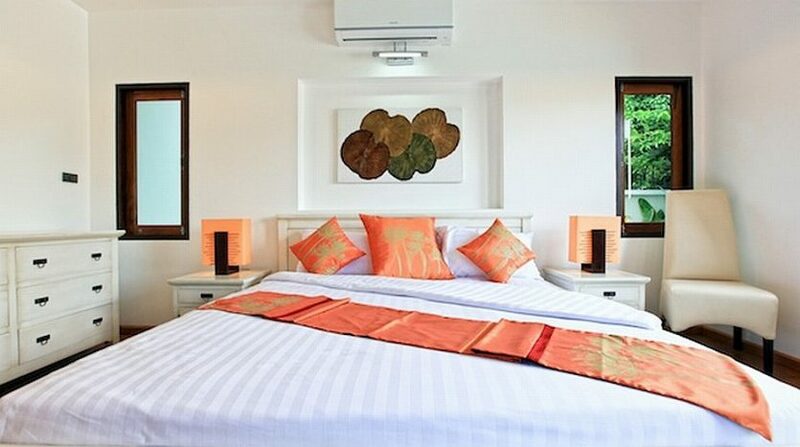 This room includes a four-poster bed with crisp white linen and appealing scatter pillows as well as a big outside covered patio overlooking the pool with comfy chairs. 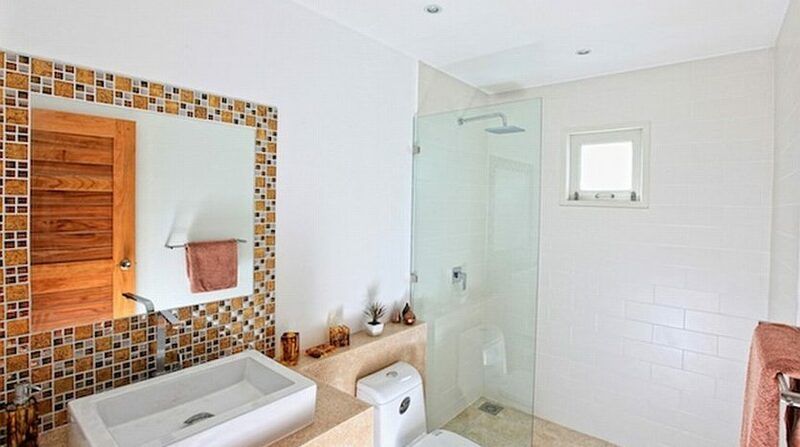 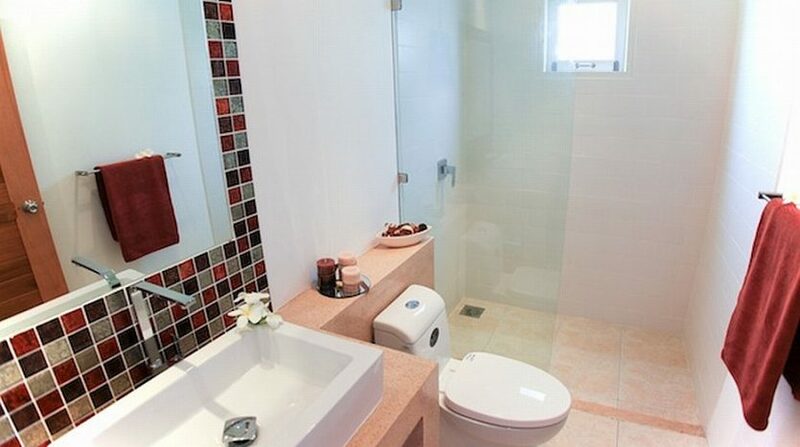 Only outside this bedroom you’ll find the third toilet that also offers a rainshower. 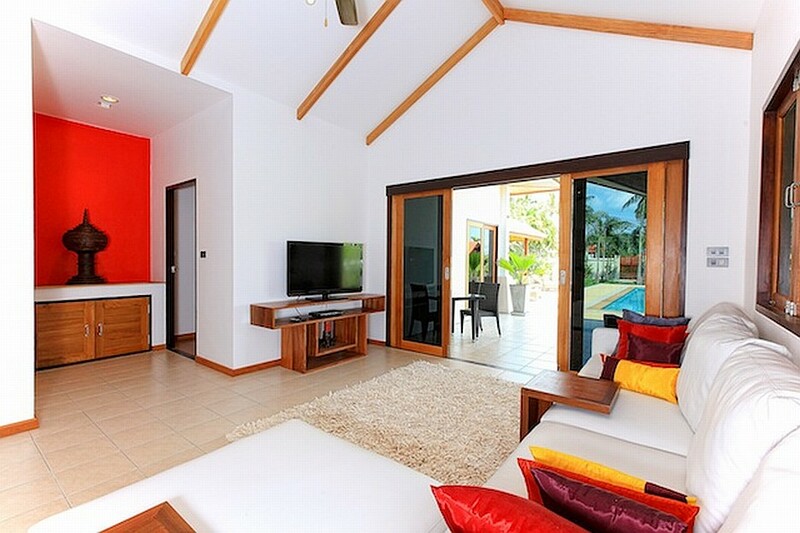 The villa has UBC TV, two I-pod docking stations and Wi-Fi throughout. 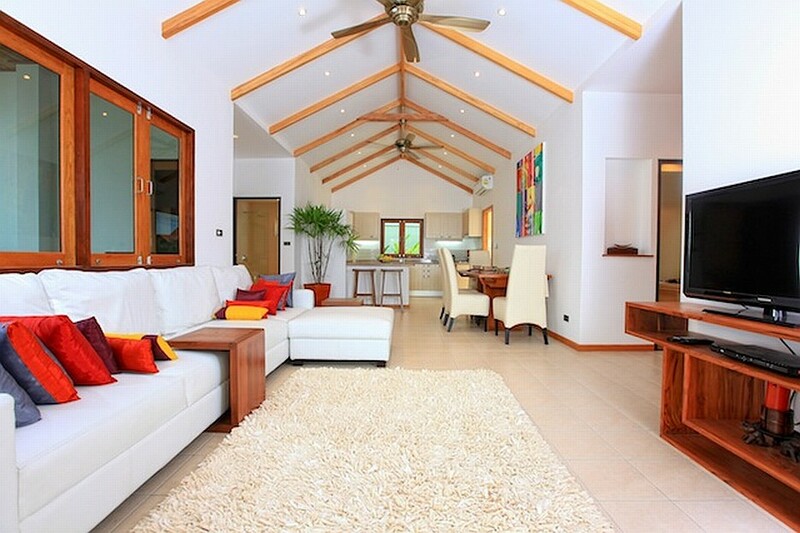 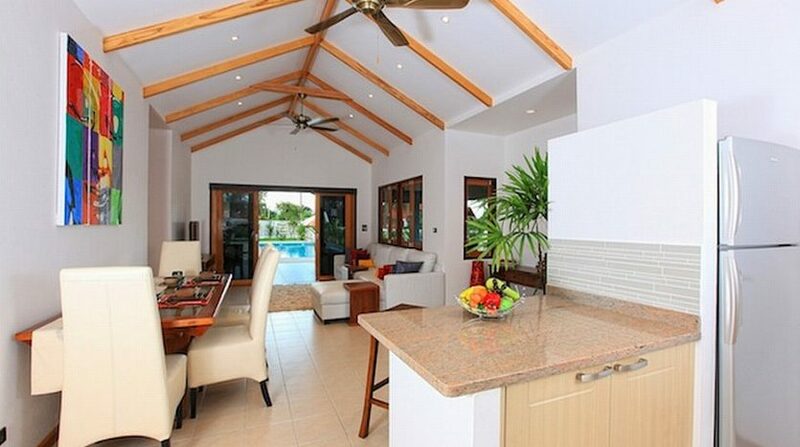 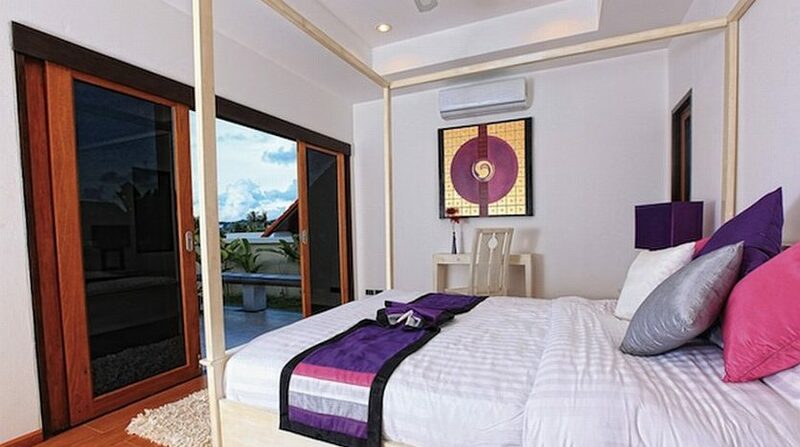 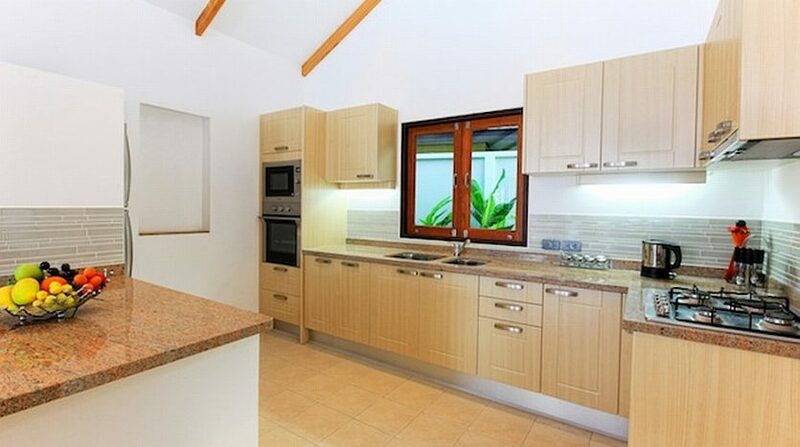 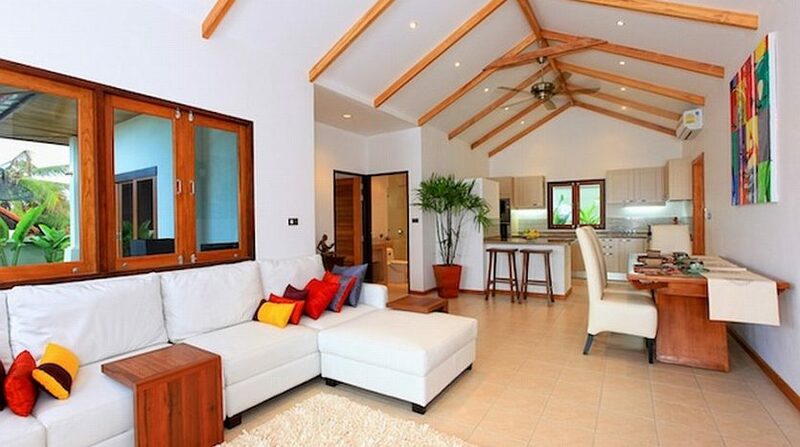 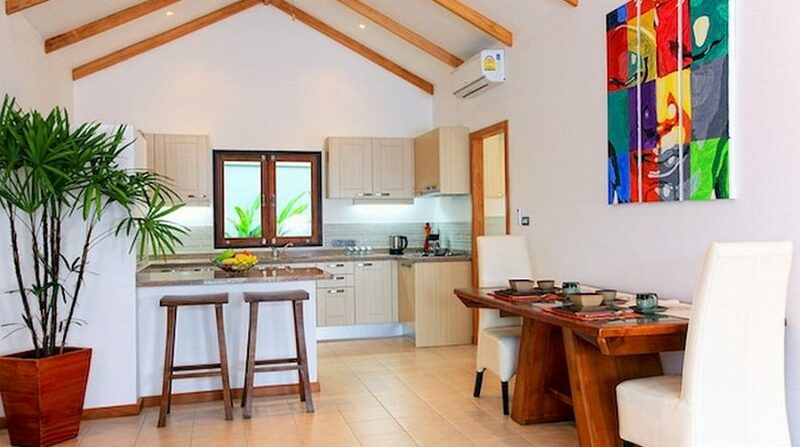 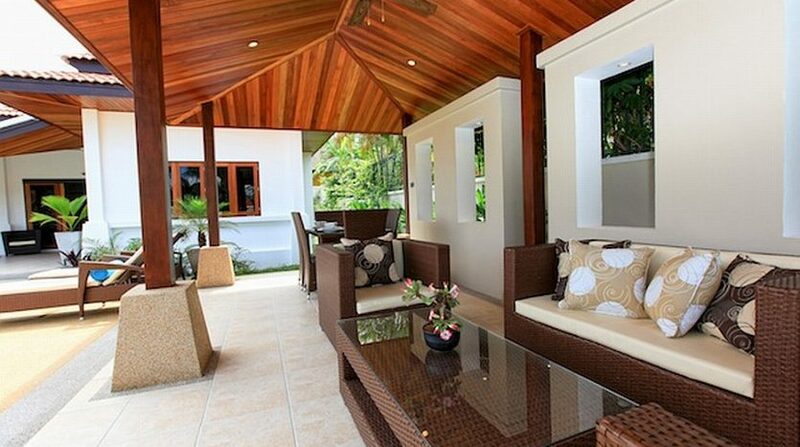 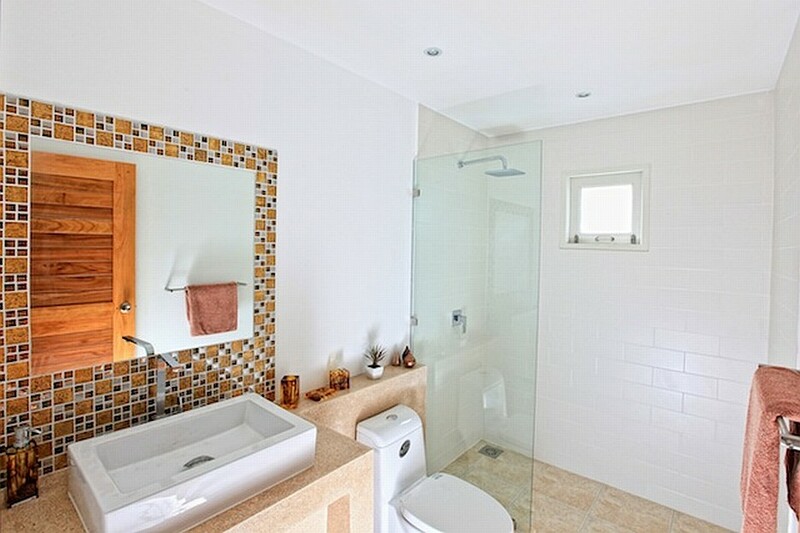 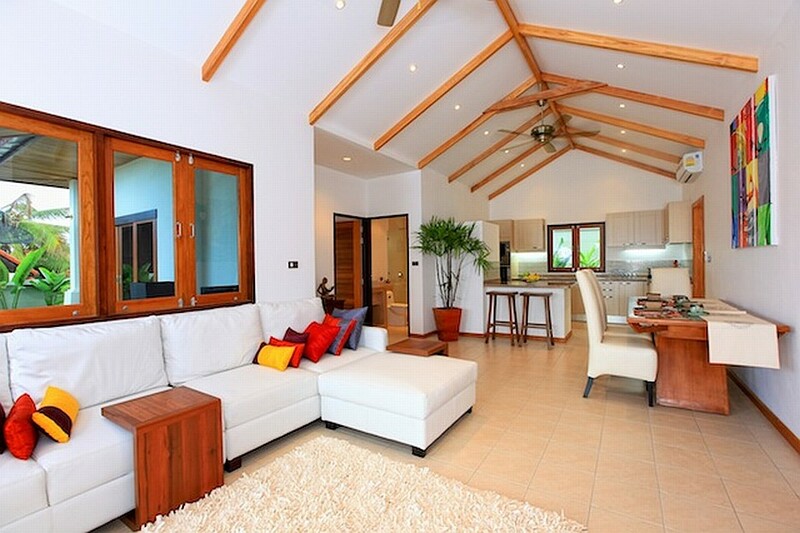 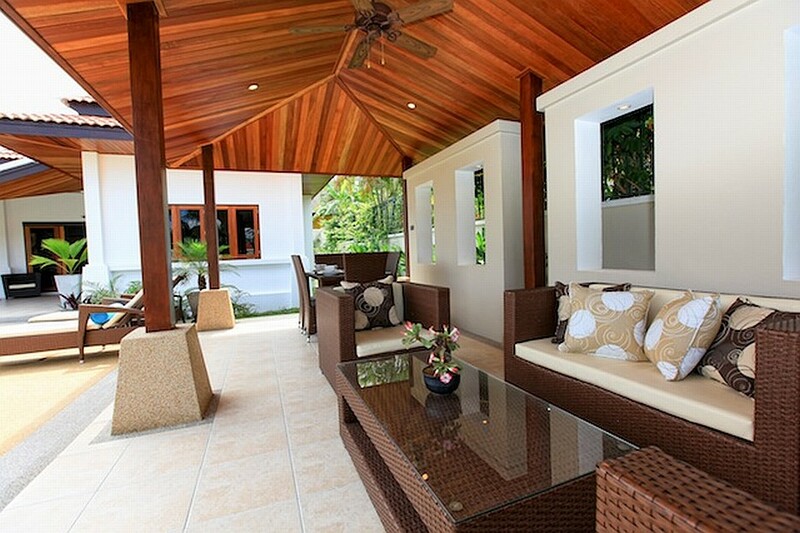 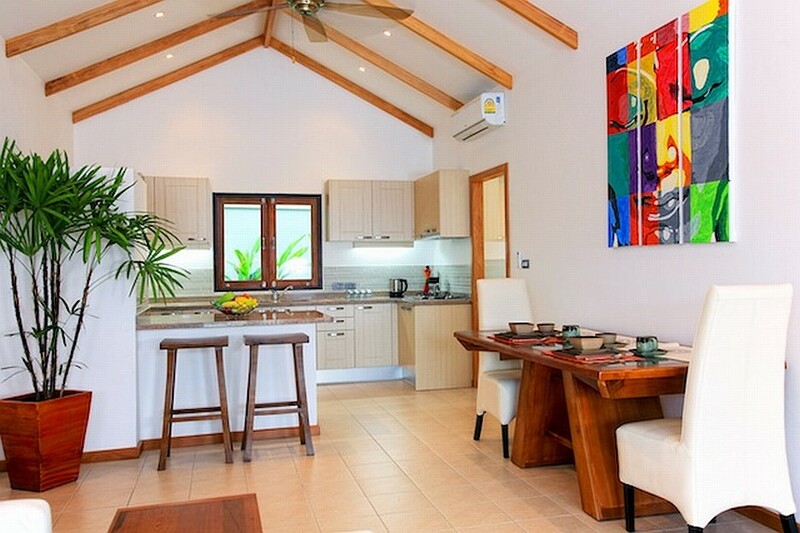 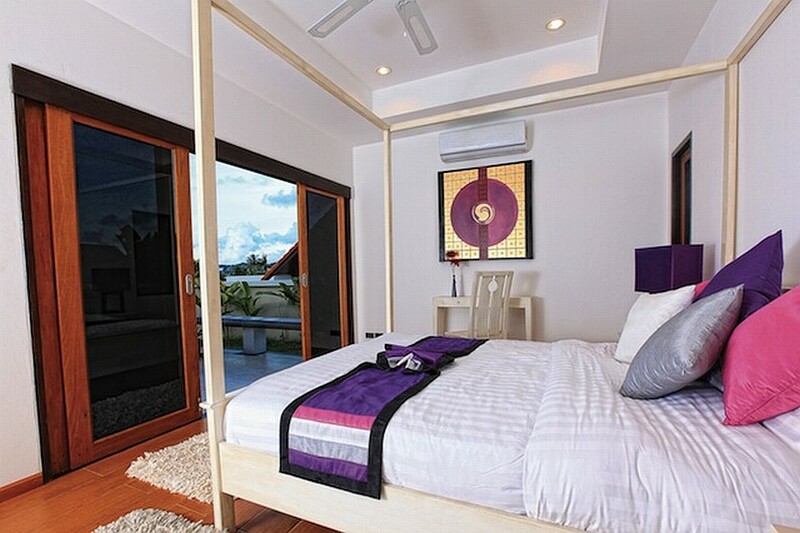 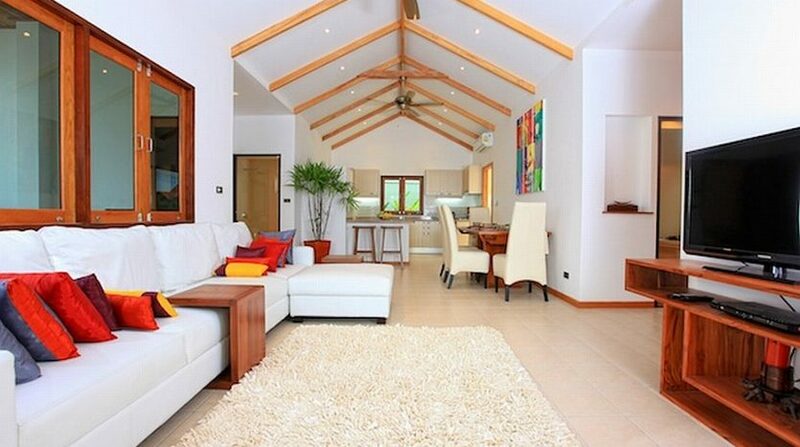 The villa has an extremely modern feel to it and continues to be furnished to an extremely high standard. 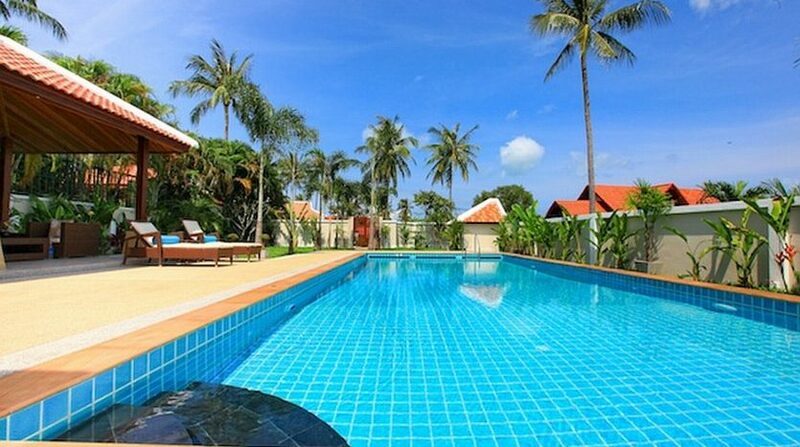 The big pool and gardens offer both sunlit and shaded areas for enjoying sunbath and outdoor dining. 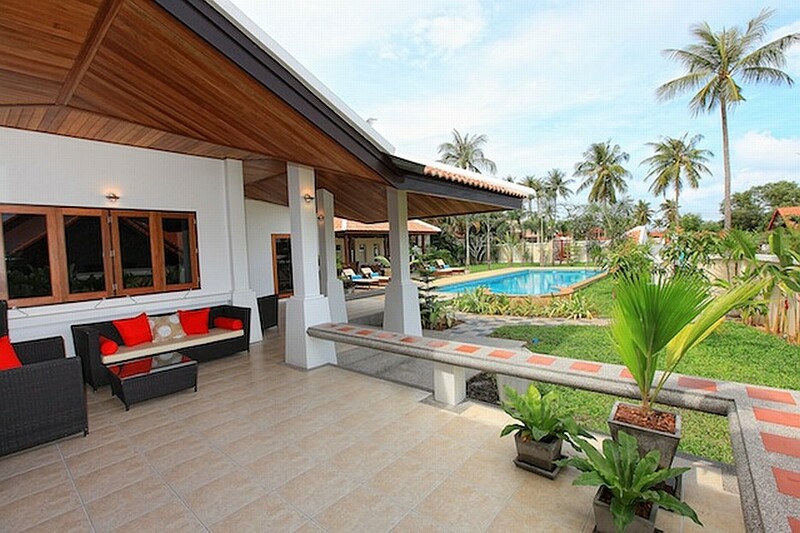 The villa is situated in an extremely quiet space far from the highway. 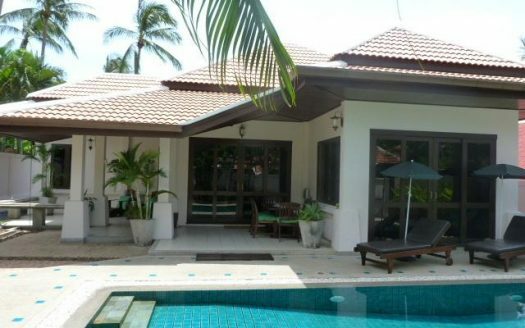 The neighborhood convenience shop is less than a kilometer away and the big international supermarket is about two kilometers away. 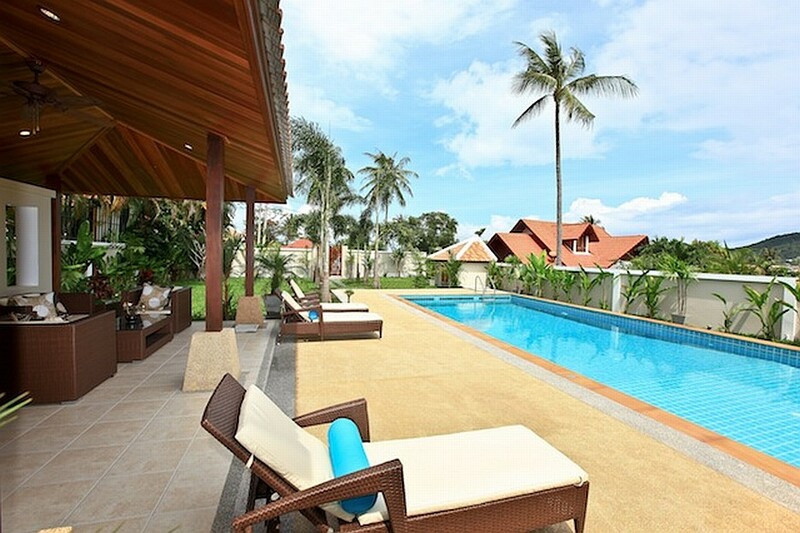 The big pool and gardens offer both sunlit and shaded areas for enjoying sunbath and outdoor dining. 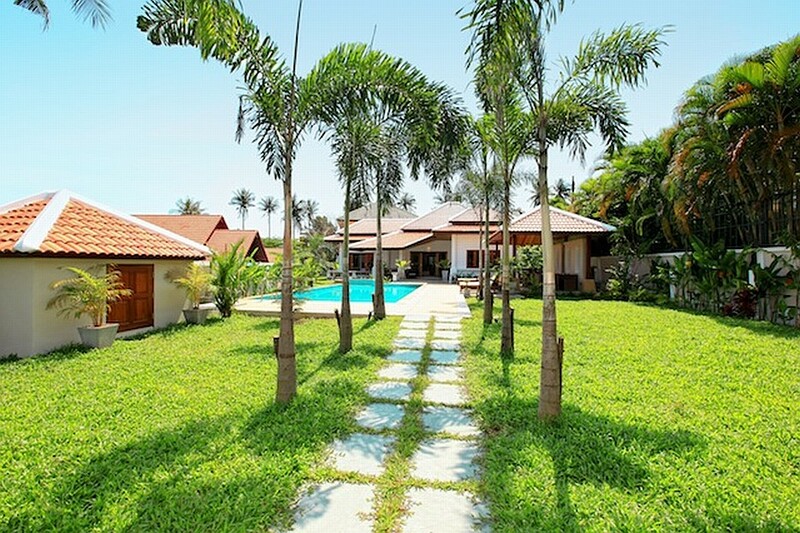 The villa is situated in an extremely quiet space far from the highway. 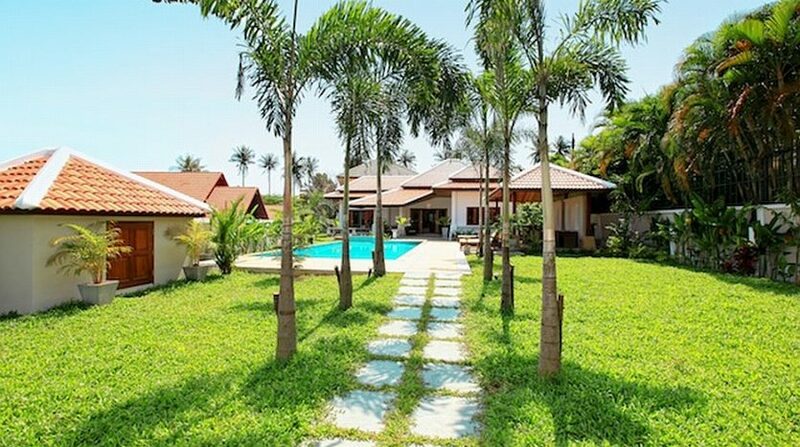 The neighborhood convenience shop is less than a kilometer away and the big international supermarket is about two kilometers away. 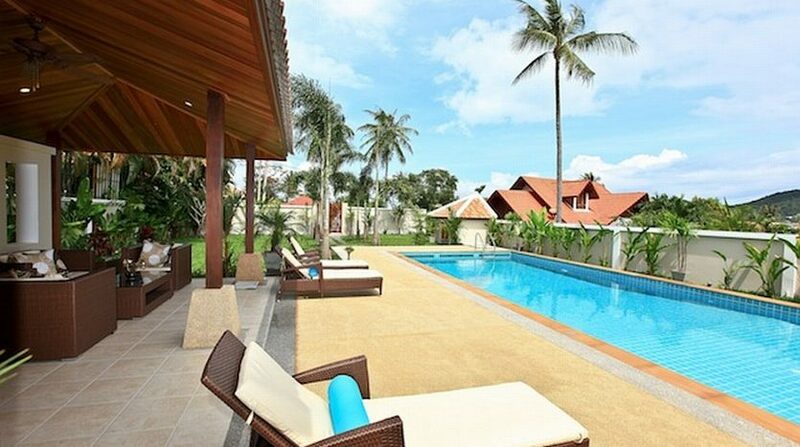 The neighborhood convenience shop is less than a kilometer away and the big international supermarket is about two kilometers away. 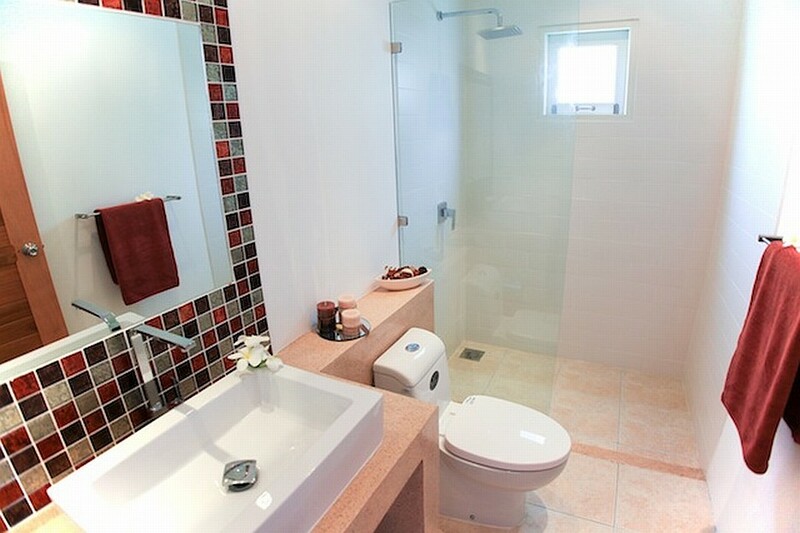 Price: $ 250 / day min.